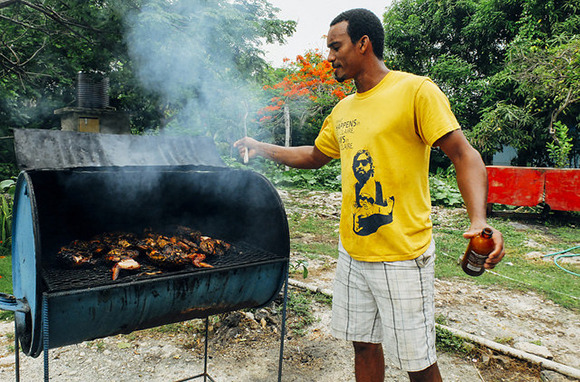 Laid-back yet always ready for a party, Negril is a place of contrasts: Mega resorts and all-inclusives give way to local boutique hotels and roadside shacks selling jerk chicken and Jamaican patties. Situated on Jamaica’s picturesque west coast, the beach community’s natural landscape shines, with untouched coves, white-sand beaches, and dramatic cliffs perfect for catching sunsets (and jumping into the deep turquoise water below). 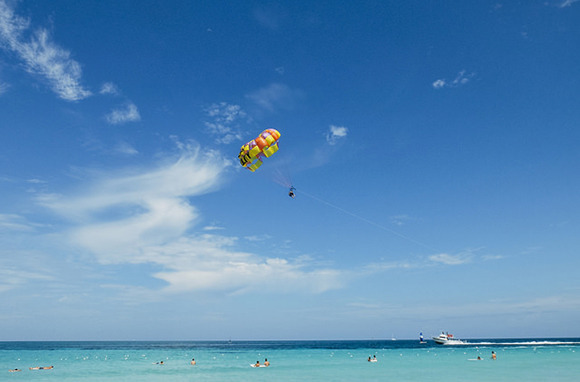 Here are a few of our favorite things to do in Negril. Negril's Rockhouse Hotel stands out as a boutique property among the all-inclusives that line the West End. Focused on minimizing its environmental impact, the Rockhouse is Green Globe certified and has won numerous awards for its sustainable-tourism initiatives. Step onto the property and you'll immediately notice how untouched it feels: Its eight acres are lush and colorful, overgrown with vibrant pink flowers, fruit trees, palms, and tropical plants. Thatched-roof cottages provide private accommodations for guests, some on the edge of the cliffs, others tucked away in the gardens. "Villa" cottages, perched directly over the water, offer spectacular views of Pristine Cove from private wraparound terraces. At $250 per night during fall (compared to $410 per night during the winter high season), it's a steal this time of year. On a cliff overlooking the ocean, open-air tables encircle a bar and a lively band plays reggae songs under twinkling lights—a setting worthy of a long romantic meal. The Pushcart is located at the Rockhouse Hotel, but it's worth a reservation even if you're not a guest of the property. 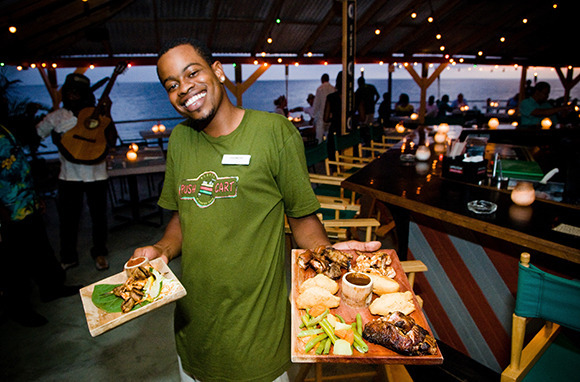 The outdoor restaurant offers tropical cocktails and upscale twists on traditional Jamaican dishes. If you're a fan of pickled foods and ceviche, try the escoveitch fish: Tender white snapper is fried, then covered in a sharp, vinegary sauce with hot peppers and onions. Jerk chicken and jerk pork dishes are served with roasted plantains and bammy (flatbread made from bitter cassava); braised oxtail is accompanied by callaloo, a stewed-greens dish similar to Southern collards. For dessert, go for one of the bar's sweet and creamy concoctions, such as the Ice-Up Papaya, made with rum cream and fresh fruit. Marinated and slow-cooked, charred with grill marks and basted in Red Stripe beer: Murphy's jerk chicken is sweet and spicy, complex and rich. The recipe here doesn't shy away from heat, the marinade a blend of Scotch bonnet peppers and secret seasonings. You'll feel like an old friend as the owner pulls out dusty photographs of the roadside restaurant through the years and passes around a jar of his family-recipe spice blend (he'll encourage your attempt to identify the spices but offer no hints about the ingredients). He will, however, let you watch (and take notes) while he grills the marinated meat in the restaurant's backyard, where a couple of dogs and cats nap in the sun among aloe plants and ackee trees. Dishes are beautifully plated, garnished with grilled vegetables, and served with festivals, cornbread fritters similar to hushpuppies. Washed down with a cold Red Stripe, it's a quintessentially Jamaican meal. The hotel's Rockhouse Foundation supports the surrounding community in its continuing efforts to improve local schools. 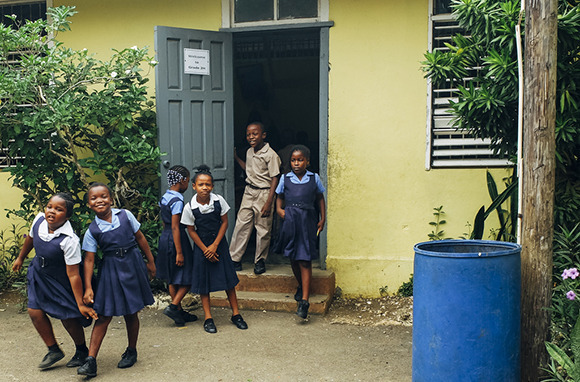 The renovation of the Negril All-Age School, which suffered overcrowding, leaky buildings, and poor ventilation in the stifling heat, was the foundation's inaugural project. The organization has worked to expand the school's buildings, renovate the library and technology center, and implement a breakfast program so every student can start the day with a full meal. You can volunteer with the foundation, spending time at a local school where you might read books to students or help out with maintenance projects. Or donate to the Rockhouse Foundation online. Touristy? Yes. A must-do while in Negril? Absolutely. Rick's Cafe is a see-and-be-seen type of place, where revelers of all ages go to drink in the sun's rays, the Caribbean water, and the planter's punch (and the hurricanes, and the tropical martinis) served at the bar. But the biggest draw at Rick's Cafe isn't the restaurant itself, it's what happens outside its doors. 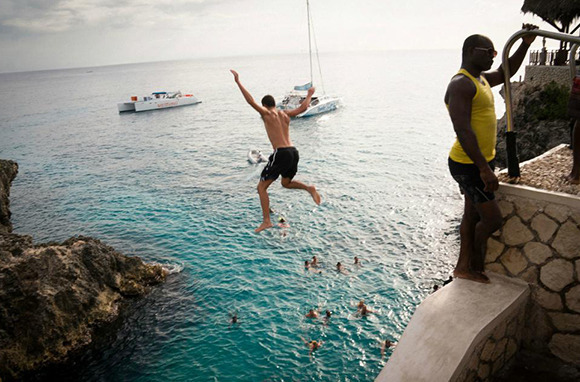 Set on a cliff-lined cove that opens up to the Caribbean Sea, Rick's Cafe offers bold visitors the chance to jump from varying heights of 10 to 35 feet into the deep pool below. Not so adventurous? Go for the spectacle, as experienced jumpers put on a show of flips and twists for the crowd. If you just want to cool off, the lowest platform offers an easy way to dip into the water and splash around. Linger in the cove for a while, sipping a cocktail and waiting for the sun to set—these naturally formed cliffs offer unparalleled views of the pink and orange sky. 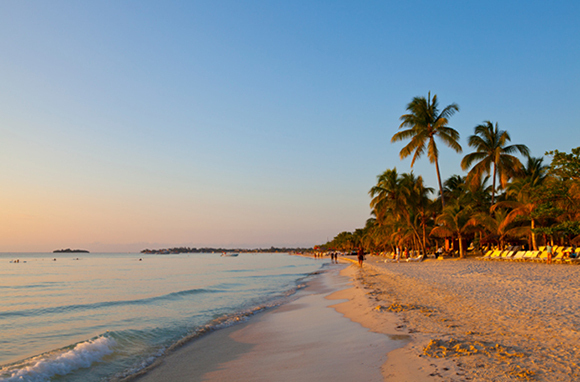 In a country known for its stunning beaches, the most beautiful of all might be Negril's Seven-Mile Beach. Here, blindingly white fine-grain sand is soft and soothing to tired feet, and turquoise water always seems to be at the perfect temperature. On Seven-Mile Beach, sunbathing is a full-time job. If you're a guest of the beachfront Couples Resort, plan to spent languid afternoons on the resort's stretch of sand, where you can sink into beach loungers, sip on icy tropical drinks from the bar, savor skewered chunks of melon and pineapple delivered by ever-present resort staff, and happily submerge yourself in the water when you've soaked up enough of the sun's warmth. Readers, what are your favorite things to see and do in Negril? Share them in the comments!